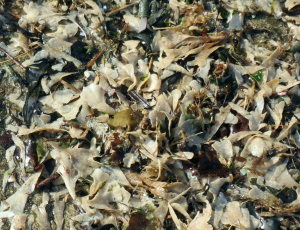 Observation - Hornwrack - UK and Ireland. Description: I was staggered at the sheer amount of this bryozoan (and hydroid Sertularia cupressina not shown) washed up onto the promenade today. I was staggered at the sheer amount of this bryozoan (and hydroid Sertularia cupressina not shown) washed up onto the promenade today.